In my last post I talked about compassion, one of the 8 principles that are a part of the #PrinceOfPeace Easter campaign on Mormon.org. 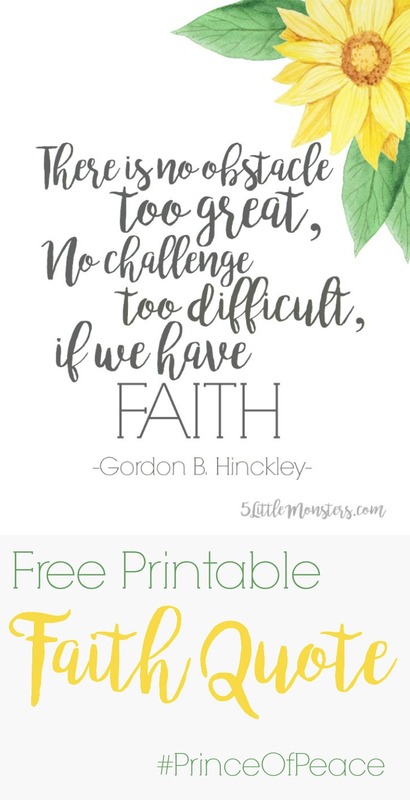 I made a printable of a quote about compassion and as I was working on it I thought, why not make a pretty printable quote to go along with each day. So, I found some quotes to go along with each of the 8 principles and over the next couple of days I will be sharing each of them. 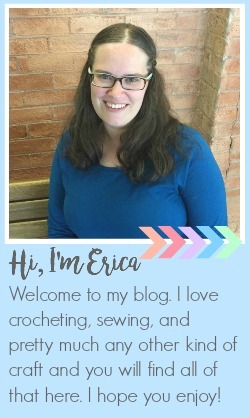 I'm not going to write a big long post like I did for the first one but instead I will just share the printable and maybe a little bit about why I chose the quote I did. The first of the 8 principles is faith. 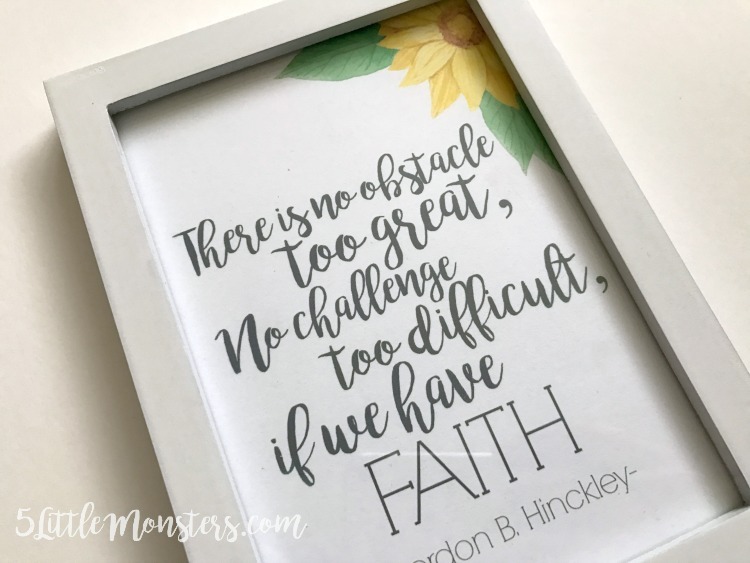 I love this quote by President Hinckley, who I think I will always have a special place for in my heart becasue he was the prophet through all of my youth and young adult years, including my mission and the first years of my marriage. I love how optimistic and postive he always was. With all of the negativity we see in the world now, especially over the past year, I feel like so many of the things he said are great reminders for us. Reminders to always be optimistic and look for the good in other people and situations, to put a smile on our face, and always be trying to better ourselves. 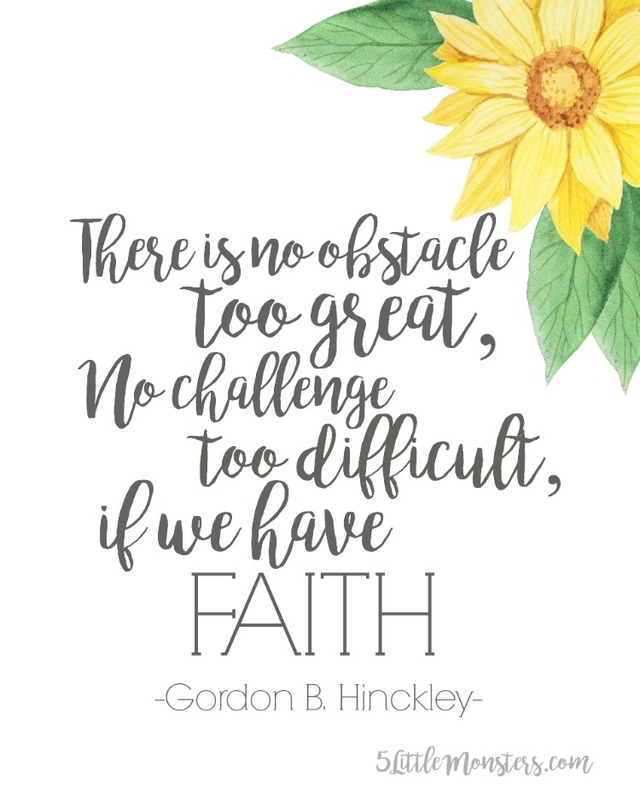 And in the case of this quote, to face whatever challenges come into our lives with faith. You can download the printable in either an 8" x 10" or 5" x 7" by clicking the links below.